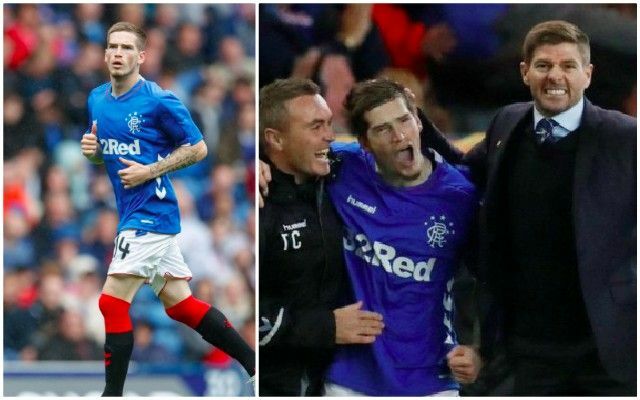 Ryan Kent scored again for Rangers yesterday in a 3-0 win over Livingston, and fans of the Glasgow club went crazy for the Liverpool owned youngster online. The Englishman is spending the season on loan for Rangers under Steven Gerrard, and is already somewhat of a hero for the Gers after shining against Celtic in an Old Firm Derby win. Rangers supporters are desperate for their club to sign Kent permanently, but he’s on a five-year deal at Liverpool and we’ll likely demand a pretty hefty transfer fee – considering the £19m we got for Dom Solanke – another young English player with the capacity to improve. It’s not certain if Rangers will be able to afford Kent, but their fans are desperate for it to happen! Below, you can see Kent’s goal and some of the reaction to it on Twitter. If a could ask for only one more thing, it's Ryan Kent on a four year deal.